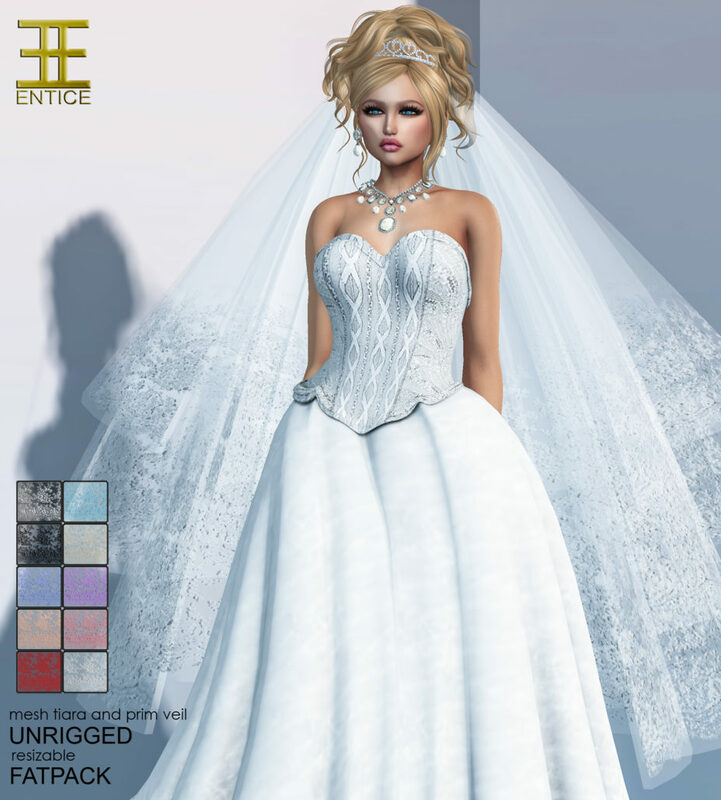 Entice has released a wedding gown for the Trunk Show event! The “One & Only” gown comes in Maitreya, Slink (Physique, Hourglass), Belleza (Freya, Isis, Venus), Classic Fitmesh, and 5 standard sizes. There are eight colors to choose from or a fatpack HUD of ten which includes two bonus colors! The matching veil and tiara is sold in a fatpack of the ten colors and is sold separately from the gown. Entice - New Group Gift! Entice - Once Upon a Nightmare!